George Brydges Rodney was born in Walton-on-Thames, England in 1719. He volunteered in the Royal Navy in 1732 as a king's letter boy on the Sunderland. In 1738, Rodney first came to Newfoundland as a junior officer. His ship spent two months visiting coastal settlements and settling fishery disputes. The following year he was promoted lieutenant and in 1742, captain of the Plymouth. 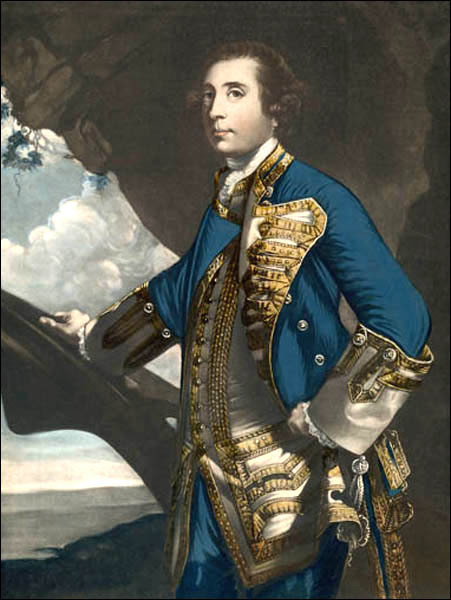 In 1748, Rodney was appointed to the Rainbow as governor of Newfoundland. His term as governor was only for the 1749 season, however, he remained in Newfoundland for three years. Rodney was known as a just governor. He prevented a Harbour Grace planter from lowering his employees' wages during an unprosperous year, and intervened when local magistrates tried to protect a man who abused his servants. Rodney continued his naval career after his term as governor. He was promoted Rear-Admiral in 1759, commander-in-chief in the West Indies in 1761, and Vice-Admiral in 1762. He became a baronet in 1764. He was promoted Vice-Admiral of Great Britain in 1781, and in June 1782, created a peer as Baron Rodney of Stoke-Rodney. He died in London on 23 May, 1792.